This is the sweetest ribbon, and you are right, it would look amazing with black paper. This is a wonderful idea, and that title is so befitting. I love this! So where do ya get it? Hi Sande, this is so sweet would love to have a personalised roll will have to check out the store!! Sometimes we don't need to say a thing...it's done for us in the sweetest way. Love it! This fabric stamped ribbon is so simple, yet beautiful, and I imagine it would be quite versatile. Thank you for sharing this new source! I just found your blog and so excited that I did!! I am your newest follower. I just started my own blog and hope that you will stop by. So charming! It surprises me that I'm attracted to such intense color usually, but am still so taken with this organic and natural and charming ribbon! 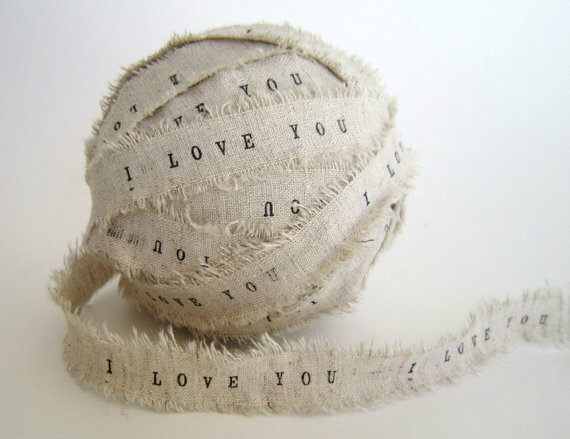 Sandy that is just darling ribbon, love the natural fiber. So very lovely—you always have the most beautiful inspiration! Where've you been? Missing your beautiful posts. Bought some gorgeous French (chocolat) ribbon from Shirley at Simply Chateau!s Etsy shop. It made me think of you. I would have edited the above comment a bit, but Blogger has lately been stubborn at allowing editing in the comment boxes. Or, maybe it's my iPad. Oh it's lovely! I'd probably keep it just like it is - still entwined, on top of my desk - so pretty! What fun - I think I would like it on matte black paper, although I must admit I've never found any!! I'm sure in your vast resourcefulness, you would be able to!! It's so lovely! I'd like to keep a ball nearby because it makes me smile. Just a note to tell you "Thank you so much". 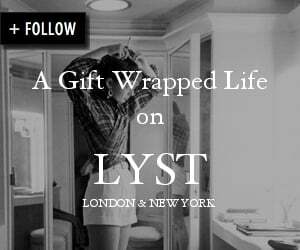 You really do curate the most gorgeous blog on tumblr! Love seeing your choices on my dashboard. So cute...love the idea of wrapping with black paper!